The Paper Cutters: Little Red Wagon Challenge #347- Kraft-tastic! Little Red Wagon Challenge #347- Kraft-tastic! Oh my goodness another week, another challenge! I almost forgot to post my cute little card!! This week is a fun challenge. Just make a card or project using craft paper. 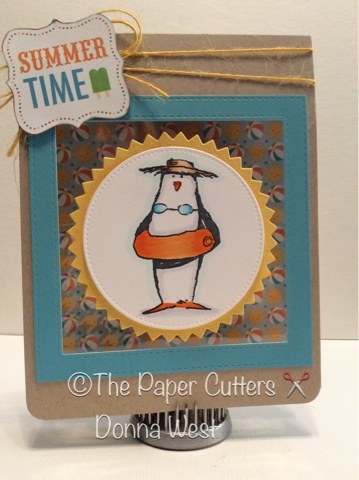 My card is a craft card base, a clear window, and an image from Impression Obsession. Haha, that penguin made me giggle! Awesome card, I love the die cuts you used. Fun image! The kraft paper is perfect for a beachy feel. Cute!!! 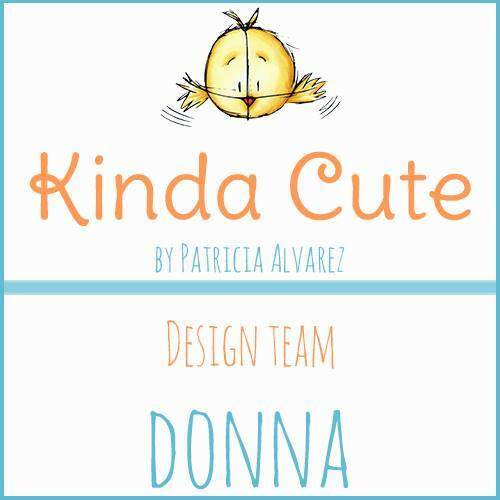 Donna, this card is soo much fun! You can't help but smile! Ohhhh, I am loving that fun penguin image!! Great card, Donna! !